Many of us plan, prepare, set goals and deadlines, and try to make the best of life. And still, life throws its curveballs. For you, the unexpected curveball may have come in the form of a job transition or the end of a relationship. Perhaps a storm ripped the roof apart, the dryer is finally kaput, or the car needs a few thousand dollars’ worth of work. Or, maybe it’s a handful of similar, equally stressful situations all hitting you at once. Although it seems like the world should come to a halt while you handle each trial one by one, no human has ever had that luxury. So, it’s up to you to find a healthy way to cope. A common misunderstanding surrounding trauma is that a traumatizing event must be the equivalent of a “big bang.” Think of war, violent crime, or a natural disaster. But everyday life can be traumatic in its own way. In fact, any event or situation that activates your fight-or-flight response can be traumatic for you. Furthermore, enduring these tough times day after day is like surviving a flood. Drop by drop, life’s churning waters engulf you in an aggressive way. Many recognize the impact that an unexpected trial or transition has caused, and they turn to unhealthy coping methods. For some, it’s drinking alcohol or smoking. Others rely heavily on prescription medication or other illegal drugs. The truth is that these unhealthy coping methods do more damage than good. Not only can they harm your body and create addictions, but they can catapult other mental health conditions such as depression or personality disorders. 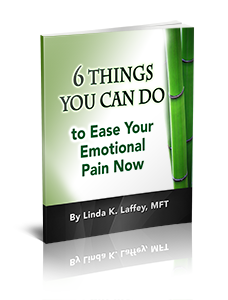 EMDR is a healthy way to cope with unexpected trials or transitions in your life. This method harnesses the power of your brain, changing the way you deal with life’s happenings. A significant key to managing the impact of your unexpected trial or transition is the strategy. Without a strategic plan to make lemonade, per se, life’s lemons will continue to sting. As mentioned before, tough times can knock you right on your backside and then stomp all over you. In addition to being disappointing, these situations can be traumatic as well. EMDR helps to change the message in your mind about the situation. Rather than perceiving it as a threat, EMDR allows you to employ a more practical approach. In tangible terms, it’s almost as if you can see the rock coming, but you don’t flinch when it hits you. You can effectively deal with the changes and challenges with a level head. As EMDR softens the blow, it also enables you to maintain your schedule and self-care routine. Keeping your routine is a significant key to feeling like you have control of your life. To “get to the other side” of a trial or transition, there’s a good chance you’ll have to make a hefty amount of important decisions. EMDR helps to keep your cognitive function working at an optimal level so you’re not stumped when you are required to make big choices. Experiencing an unexpected trial or tribulation can throw you off-track. Even the most goal-oriented person may find themselves in the dirt. Unsurprisingly, a huge determining factor in the outcome of these tough situations is how fast you can recover. EMDR takes the sting out of the situation, empowering you to dust yourself off and recover more quickly. If you’re ready to consider EMDR therapy to help you cope with a life transition or difficult time, I would like to help. I have been a Certified EMDR Therapist since 2004, and I have helped hundreds of clients benefit from this incredibly useful methodology. Please get in touch with me via voicemail or email so we can discuss how we might work together to change your life for the better as quickly and effectively as possible.